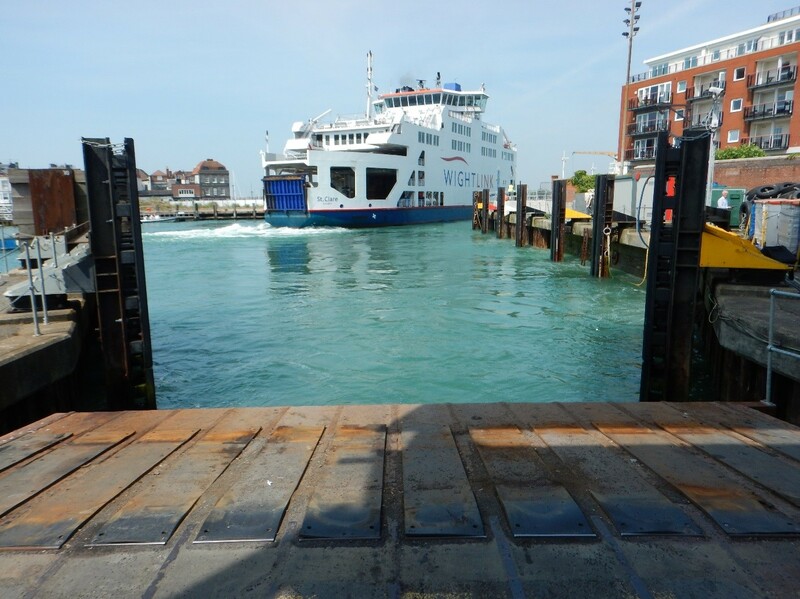 Houlder witnessed the first ferry double-deck loading operation on the Wightlink St Clare this month following two years of development. The company’s marine design consultancy business designed modifications to the St.Clare that increased her car carrying capacity by 5% and allowed her to load onto the main vehicle deck and upper car deck simultaneously. Houlder has a long relationship with Wightlink and have been working with them on a number of projects as part of their £45M ‘Investing for the Future Programme’. This programme includes the design and construction oversight of the new G-Class diesel-electric battery hybrid ferry currently being built in Cemre Shipyard, near Istanbul. Closer to home, this programme involves terminal works for Portsmouth and Fishbourne to enable double-deck loading and unloading for the new ship and the St Clare. The Wightlink St Clare ferry was built in 2001 with Houlder (then Hart Fenton & Company) having undertaken initial design and acting as Owner’s Representative. Owing to our experience and knowledge of the vessel Wightlink asked Houlder in March 2015 to develop an outline design for a deck extension capable of operating in conjunction with the planned two-tier linkspans. Our initial scope covered outline design, capacity checks, deadweight, stability, and systems modifications required for the ferry double-deck loading operation. The main outputs being a set of drawings for Classification Society Approval and a refit specification for the required structural, electrical and piping works. These identified that the vehicle deck drencher system would need to be extended to cover below the new deck area, but that this extension would need to be carefully arranged to ensure an adequate water supply could be provided to the new sections. Houlder designed modifications to the drencher system which minimise changes to the existing system while retaining the existing drencher pumps. After Class approval and the selection of a shipyard for the refit works Houlder incorporated Class comments on the structural drawings and developed these into a design pack for the steelwork, from which the deck extension could be fabricated. In addition to resolving remarks raised by Class Houlder’s engineers undertook a survey alongside the steelwork contractor in order to fully understand their requirements for the design pack and to ensure that all works were planned for in the refit specification. The new steel sections were prefabricated during December 2015 and retrofitted to the St. Clare during her scheduled drydocking at A&P Falmouth in February 2016. In addition to providing technical support during the fabrication and fitting, Houlder engineers also undertook a completion survey of the new steel. “We have worked with and for a lot of shipyards and ship operators. This really helps us understand the requirements of each party. 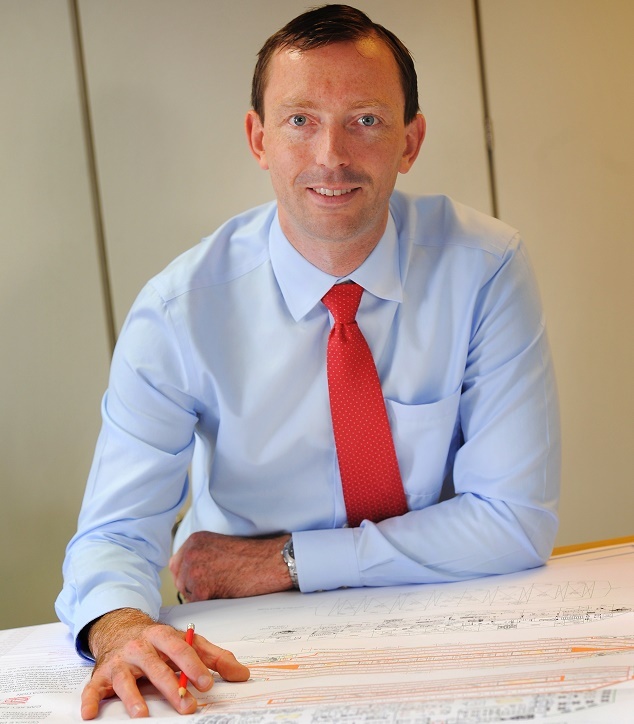 This means we are ideally suited to making sure everyone gets the information they need for the project to run smoothly and more importantly on time and to budget.” comments David. On completion of the ferry double-deck loading operation refit a team of Houlder engineers arranged an inclining experiment to verify stability and deadweight calculations and analysed the results for submission to the MCA. A final survey allowed us to revise the General Arrangement and Fire Control Plans reflecting the increased capacity and changes to the drencher system. Following her refit, the Wightlink St Clare ferry returned to service with increased capacity but operating a single-deck loading system while the terminal works were completed. With the commissioning of the two-tier linkspan in July 2017, Houlder provided fabrication drawings for a lightweight deck gate which works in conjunction with the new linkspan to allow safe and efficient loading. The design was tested in July 2017 when the linkspan was lowered onto the St. Clare for the first time, and fully tested later that month when Wightlink started to use the linkspan for two-tier loading, significantly reducing the time spent at the berth and starting to bring a return on the investment made.